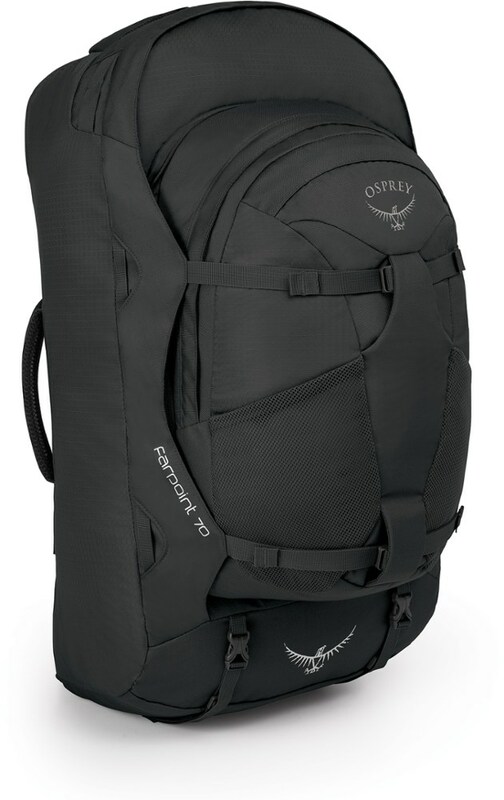 Osprey has designed a versatile and quality pack for the urban and travelling yet outdoorsy minded person, but basic flaws such as pocket placement make using it frustrating at times. Although you really get two packs with this one, the separable day-pack rarely ends up being attached to the main pack in actual use, for better or for worse. 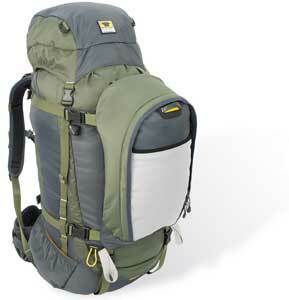 Despite the moderate price tag, I still recommend this pack as an all around useful piece of equipment. I traveled with this pack during a four-month study abroad term in China and have used it to do short backpacking trips and car trips as well. I also use the day-pack as my school backpack. I have put 8 months of heavy use into it. The backpack fits very well, like a glove to my body. 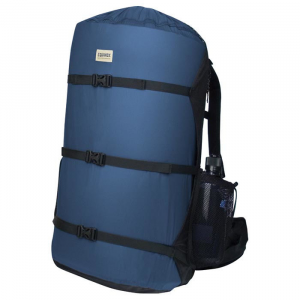 I am a tall skinny person and I often have lower back pain from carrying heavy loads, but this pack has been wonderful on my back even with heavy loads. The hip belts, sternum straps and shoulder straps are all adjustable and really are comfortable. The main pack has one large zippered flap as a pocket which is great so you don't have to unload everything to get to the stuff at the bottom, just unzip the flap all the way. The day-pack zips off, which you can attach and detach pretty quickly once you get the hang of it, but I find I rarely use the day-pack zipped on to the main pack. However, there are buckles at the tops of both the main pack and day-pack and so you can buckle the day pack in front of you for balance and ease of access, it almost feels like a vest. Anyone who has traveled with two backpacks knows this is an invaluable feature to avoid straining yourself from the two packs while walking around airports or cities. The main pack strap cover is very useful for airport baggage systems to avoid straps getting caught on things, but also useful for car trips when your pack has to slip in and out of a tight trunk. I was skeptical about this feature originally because of the added weight but in the end I was very glad to have it. The biggest complaint I have is that it doesn't have enough external pockets and the internal ones are not in the right spots. 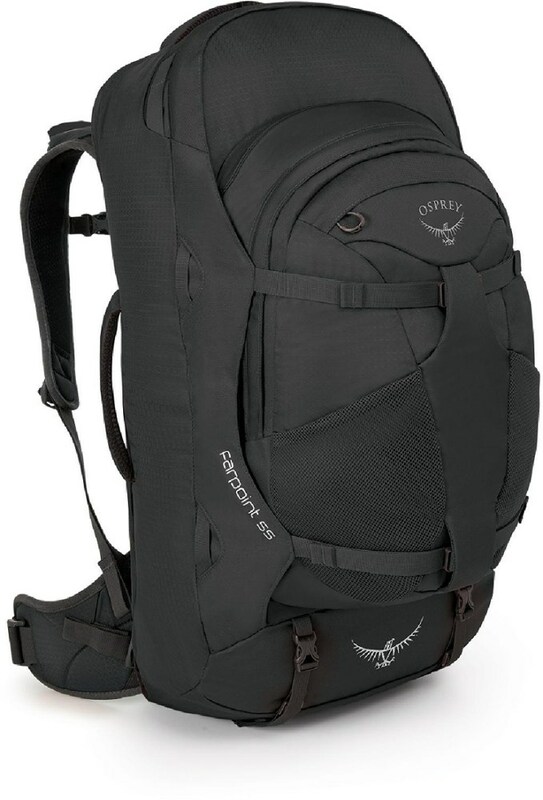 The main pack only has two internal mesh pockets, and since they are on the opening flap of the pack, when they are fully loaded the pack is rather lumpy and the separable day-pack is hard to attach. A better place to put them would have been on the sides of the inside of the pack. 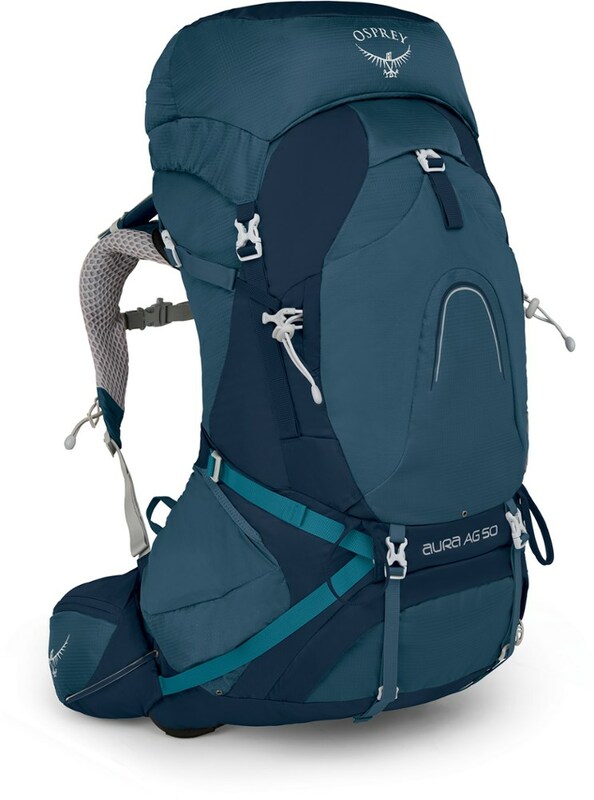 Also there are no external pockets to the main pack, so when using it alone, or even with the day-pack attached, there is no place to put small things without having to dissect your backpack to get to the internal pockets. Lastly on the main pack, there is no external water bottle holder. It is very frustrating not to have an easy spot to put your water bottle when using it for hiking or even walking through airports. The day-pack has two water bottle holders, but they are barely large enough to carry a small Nestle water bottle and cannot carry any water bottles when the pack is full. There is one small external pocket, but it is on the top of the pack area and when filled with stuff, gets in the way of loading and unloading the main bagging area. There is one internal mesh pocket but it is at the top of the laptop sleeve and pushes against any books when the pocket is full. Overall bad pocket placement. Both packs also do not adjust well to different loads, although they can carry less without any problems. It is impossible to make anything bigger though. 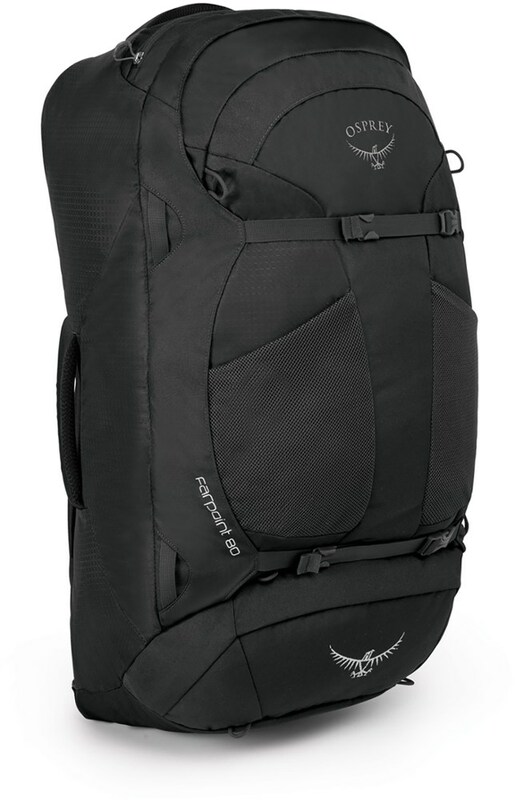 Also the main pack has two buckles in the rear that wrap around the day-pack, I think to help distribute the load, but they can get in the way when you want to access your day-pack large pocket when it is attached to the main pack. A few small straps hang down from both packs (waist strap and gear straps) and they get in the way, but they are not too bad. Overall, incredibly well made and durable and ridiculously comfortable, but there are several design flaws that make it frustrating to use at times. So, I was not the only who was really flabbergasted by the lack of external pockets! This is the ONLY reason why I want to put it up eBay or sell to a friend. SYMBIUM ACCESS 70+10 backpack looks pretty good with all those pockets. None of the websites mention the tech-spec of the fabric used so cannot base the judgement on the big-big adjectives they use. I am lost. I am planning to eBay it and go for Deuter Quantum or Air Contact. Excellent backpack with a lot of space. Used it for a hiking and regular travel in deserts, wet climates, and few continents (Europe, Africa) also in Caribbean islands. I made a mistake when I decided to sell it. One of biggest mistakes in my life was selling this backpack. So versatile, very classy looking, lots of useful pockets, great back padding, relatively light. I had this backpack for about two years and I really can't describe how satisfied I was with it. From everyday travel to expeditions in jungles, deserts, hitchhiking and rest I never thought this backpack would fail me. 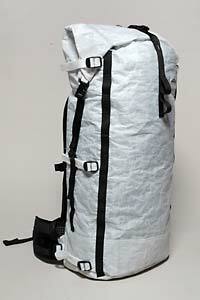 All straps and backpack in general are made from extremely strong and durable materials but also not very heavy. It gave me confidence to travel and explore as much as I can. Color "Slate Green" is just timeless and very discreet and main pack also has option to put a padlock on zippers and by that secure it from stealing. Used it as a carryon luggage only 4 or 5 times, but rest of the times I had more than 8 or 10kg so I had to check it, although all in total pack size (bigger one) is about 115 cm all calculated. Thanks for the review, SamWan. Do you think you'd buy a new one to replace the one you sold? Good luck! Is he liking it as much as you though? I just saw this question.. :-) He likes it a lot..I am trying to find best way to make a offer to him,although I found on Ebay here in Serbia new ULA AirX for 130EUR.It looked suspicious,but on pics looks very genuine,so if there would be one left,I will ask a guy to see it in person and buy that one instead of Farpoint.